My very first attempt at making money on Craigslist was selling a few 5 gallon buckets of interior paint, a few years ago. It was, surprisingly, a great experience that went smoothly and without any issues. That was when I realized how easy it really is to make money with Craigslist. So I started researching and reading about the ways other people had been making money on CL. I was surprised to find out that there were actually people who were, and still are, making a living – as in that’s how they pay their bills and put food on the table. Since its launch in 1995 by a self-described “nerd,” Craig Newmark, Craigslist has come to serve a unique niche in the internet community, proven by the 50+ billion page views that it pulls in on a monthly basis. Of course, where there are a lot of people, there is money to be made! 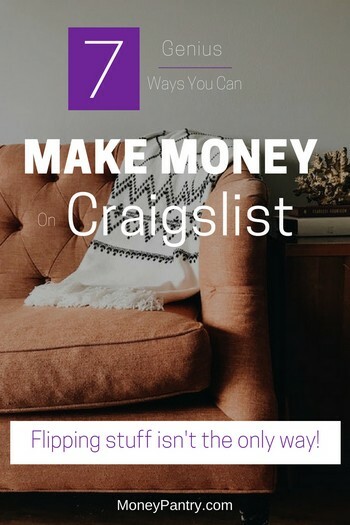 And in this post, we’re going to share with you a few tried and tested Craigslist money making ideas that you can use starting today. And while there are many ways to profit on Craigslist, we’re going to focus on a few ways that you can make money from Craigslist (like this one where you can make $100 fast in under 4 hours) without spending any money. To get there, visit Craigslist’s site for your own city. You don’t have to do anything different really. Just enter Craigslist.org and the site will automatically bring up Craigslist for your local area. Once there, locate the “For Sale” section and click the “Free Stuff” tab. This section is a goldmine of opportunities. You can find tons of used (and sometimes almost new, slightly used) items. You can get free stuff from used furniture and tools to books, gym equipment and everything in between. Generally, the only catch is that you have to move the stuff yourself. Some people may even help you load it which is very kind of them. Either way, if you’re picking up big items, it helps to have a truck or SUV. Make no mistake about the quality of the goods you find in the free section. With a few exceptions, people are generally trying to get rid of things that are, more often than not, in very good shape. It’s just circumstance that leads them to give it away instead of selling it. To sell it would require making a post, being contacted, discussing price and meeting, which is something a lot of people don’t want to deal with. As such, you can often find high quality stuff (I recently found a 60″ HDTV) absolutely free. Any experience you have selling on eBay will come in handy when you’re using Craigslist because there are a lot of similar principles. The ability to make deals with strangers and protect yourself from scammers, are vital here. There’s no doubt that Craigslist can be an absolute treasure trove of economic opportunities, but most people are too afraid to dive in and make the most of it. So let’s take this step-by-step and show you how to make money on Craigslist. The easiest step, as you might have predicted, is to make a free Craigslist account. You can simply sign up and have your account in seconds. Enter your email address and hit “Create account“. Once you hit the “Create account” button, you’ll see a message instructing you to check your inbox for a confirmation email from CL. Login to your inbox, pull up the CL confirmation email and click the button/link that says “Confirm your account“. That’s it – you have your brand new, free Craigslist account! As I was mentioning up above, the “Free Stuff” area is your money-making haven. Make sure you get very comfortable browsing this place because it’s your main hub for this operation. You’ll also want to remember to check back very often, several times a day. This means that you’ll have the most up-to-date information, and be able to snag the good stuff before other people do. Once you find an item you want, generally the owner will have a number/address that you contact so that you can tell them you’re interested. Most of the items you’re looking at will be of good quality, though some are just garbage. Just pass these! It’s worth noting that there are also strange sorts of free stuff that you see very often, like scrap wood and excess dirt. While those might look useless to you, there are certainly people who can take it and make the best of it. If you’re one of those people, don’t overlook it! Most of the stuff that you find will be of good quality, but a little less than sale-quality. If you invest the time to clean it up a little, you can take a seemingly “trash” item and turn it into a unique piece that people would gladly pay for. And yes, sometimes you can even get cash for your trash! Perhaps that dresser you picked up could use a scrubbing, or maybe a full-on polishing, but afterward it is showroom-ready. This is the ideal kind of thing you want to pick up on Craigslist because other people chasing these opportunities might not be willing to put in that level of work. How many times did you ignore ads without pictures in favor of ads with pictures? We are visual creatures. We like to see what we are buying. Knowing that puts you one step ahead of your competitors. Be sure to take as many quality pictures as you can (from different angles, showing various details of the item). You want photos with good lighting, multiple angles, and most importantly, you want something that makes your product look good. And with today’s smartphones, taking high-quality pictures is easier than ever. Heck, you can even sell your smartphone pictures for cash, these days. Good pictures go a long way in helping you get more eyeballs on your CL ads. Keep this in mind when you’re getting ready to post your ad. Go back to the “for Sale” category and put your item in the appropriate sub-category, whether that means Furniture, Cars, or whatever it is that you have. Include as much information as you are comfortable with. The more ways that your customers can contact you, the more inquiries you’re going to get! Obviously, the principle at play here is to take something that someone can’t/won’t sell, improve its quality, and then sell it for a profit. It is technically the process of “flipping,” except some items can be resold as-is. When you’re writing your description, you should make the product sound as good as possible. That might mean instead of saying it’s a fixer-upper, mention the history of the item and the craftsmanship that went into it. People like things that are impressive and noteworthy, so share any cool details you have about it. The best quality of any business is to do what they do, do it well, and do it consistently. So that’s what you’re going to want to do here. As you sell more and more things, you’ll get better and faster. In the beginning, the amount of time and material you spend on each item may make it hard to make a profit, but as you get the process down to a science, you’ll start to make more and more money. Also, keep in mind that with some items, all you have to do is probably a quick clean up. That’s sweet especially if you got the item for free. So selling it at any price gives you a 100% profit margin. If you combine a couple of your skill sets into this, though, you’re looking at a great source of extra income. And when I say “a great source,” that’s no joke. If you figure that the “Free” section exists for hundreds of communities across the country, it’s easy to see the wealth of opportunities that exist on Craigslist. In fact, there are people who make a living on Craigslist. At the very least, this can be a great way to make extra money in your free time. 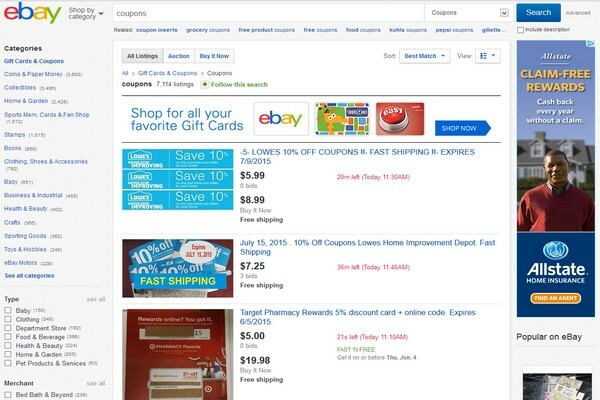 Want to know even more ways of making money on Craigslist? I’ll be talking about fixing stuff up in a second, so let’s go with the first definition. If we were really trying to get fancy here, we’d call this “Arbitrage,” but for our purposes, “Flipping” will work just fine. It doesn’t always have to be free, though. There are a lot of things, like used books, that you can buy for very cheap and resale for a tidy profit. If you’ve never been to a pawn shop, you might find it interesting to know that lots of things you find at a pawn shop are cheaper than they are at a retail store. You could even flip these items if you had a mind to. There are tons of things you can buy from garage sales that can be sold for a profit on CL. Perhaps the most variable market in terms of value is the automotive market. We’ve all had that friend who spent $10k on a hunk of junk and a different friend who spent $2000 for a car that they could drive for years. This alone should tell you that there are major fluctuations and differing interpretations of value in the car world. Now, getting into flipping used cars will probably come later, when you have a little bit of seed money to spend on your operation, but that is probably the most lucrative area. Buy a motorcycle for $2500, sell for $3500, and you’ve just made a tidy profit of one grand. Flipping gets easier the more resources you have to devote to it. Almost anything can be flipped for a profit depending on how much you bought it for, how much time and money you had to put into flipping and so on. But the most important aspect, I believe is timing. Another example of that would be someone who keeps seasonal stuff around to sell. Imagine picking up a whole haul of Halloween stuff in March. Probably won’t cost much, right? Now imagine reselling it in the dead of October – very different market, very different values. If you have storage space, your flipping abilities will skyrocket. Having said all of that, there are some items that are easier to flip and yield more profit. Take a look at “Best items to flip for profit on Craigslist“if you are interested. Fixer-Upper is a phrase that is used to refer to something that, while run-down at the moment, should be worthwhile once restored. You’re almost definitely familiar with this very basic process, as it’s one of the most classic ways to make money, especially by resale. This is also the area that will benefit most from your technical skills. Know a little about sanding and polishing? A few minutes of sanding and polishing is all it takes to sell used furniture for a great price. Find old, dirty wood furniture and make it shine. You’d be shocked at how much money people are willing to drop on something that sparkles. Maybe you know how to upholster? I personally saw a couch CL the other day. It was a giant sectional, leather-bound, definitely worth a grand or two when it was new. And yet, it was free due to some cosmetic damage. If you can patch furniture, you can make good money with times like that. Know your way around cars? You can find free chassis and frames all over the place on Craigslist, old classic car bodies with rotted out engines. If you are someone who can restore that car, there’s no telling how much you can sell it for. The “gearheads” in the world know that the value of a car is limited pretty much to what you can do with it. 4. Make friends with inconvenient items! Inconvenient = awesome opportunities for you. Because if it was convenient, everybody would be after it at once! Well, you’d have a really tough time with that opportunity. Not only would you be swamped with competition, but people might be so bent on it that they try to undercut you for the goods. It’s just too convenient, and there’s too much competition to get much out of it. Well, now it seems a lot less desirable to people who can’t do that, which opens up the opportunity for a more specific group. This exact principle comes into play with Craigslist moneymaking. Attractive as it can be! A free boat with no motor? A lot less attractive, which means you can swoop it up in a hurry and do the fixing yourself. 5. Buying & selling things isn’t the only way to make money on Craigslist! This has nothing with flipping stuff on Craigslist, instead, this is just about making the most of Craigslist as a platform. You’re already committed to spending your time on Craigslist, so why not put up some ads for your skills while you’re at it? Say you’re on Craigslist looking for furniture to reupholster for resale. But you might not be making enough money that way to make the profit you’re looking for. Try also listing your reupholstery services in the “Gigs” section. It’s this kind of business-bound thinking that will get you to serious success on Craigslist. Wanna know “how to make money on craigslist without selling anything“? Now, if you can’t do deliveries, that doesn’t mean that you can’t do business on Craigslist. Plenty of people are willing to swing by and pick products up themselves. But it’s that very fact that makes the idea of delivery so appealing. There’s a pretty hefty list of things you need in order to be able to do deliveries. For one, you need to have the physical power to lift the items you’re delivering. You’ll also need a vehicle to transfer it, which means a pickup truck for most items. But even larger items, like certain appliances, or cars, might need a trailer to transfer them. You’ll also want a dolly, a handcart, some restraints to secure the stuff, and some basic hand tools. And as you can imagine, this is really prohibitive to a lot of people. But again, that’s what makes this so valuable. There are a lot of people who use Craigslist, and some of those people have very well-paying jobs. They won’t think twice about dropping another chunk of bucks on your delivery service. As for the pricing of your delivery, that is completely up to you. But of course, it is a good idea to base the price off of how much you need to expend in gas/manpower to get the idea to them. If they live two cities over, don’t go charging them $30 and losing a bunch of money for yourself. Always price the delivery for your profit, or there’s no point in offering the service at all! Electronics and appliances like an old fridge or freezer, are two of the most popular category of products that sell like hotcakes on CL. People upgrade their phones all the times, even though their old phone may be working perfectly fine. It’s that consumerism in all of us which electronic devices manufactures, especially phone makers, are exploiting brilliantly by introducing a new phone once a year or so. No matter what version phone you have, there are people who have the version before it and want to upgrade. But some people just don’t have the money to pay a $1000 for a brand new phone so they use Craigslist to find used ones for cheaper. If you have an older phone, list it. In most cases, you will sell it within days. Same goes for other devices, as well as appliances. You can sell your old laptop, fridge, TV, microwave… the list goes on. Before I end this article, let’s take a second to reiterate those points from before about what makes a good Craigslist post. In my opinion, the picture is by far the most important part of the process. It wouldn’t matter if your post title was “New, Beautiful Armoire” if nobody could see it, because who would take you at your word for it? You’re a stranger on Craigslist, and you need to lead with your best foot forward if you want to earn the trust of your potential customers. The right way to do this is by having good pictures. They should show the product clearly, and in the most favorable light. It sounds like obvious advice, but you’d be shocked how often people get it wrong. The second most important thing is the title. It’s simply going to derail the process. Keep the title as concise, and as flattering, as possible. “Armoire for sale,” is good, and “Armoire for sale, like new” is better. This is definitely the least important part of the post because it is on a whole different page from your initial pictures + title. However, the customer will read it once they click on your post, so it’s still important to the process. Keep the details clean and your tone professional. You’ll see a lot of posters being really aggressive in their descriptions, as an attempt to discourage scammers. But really, the scammers won’t care if you said, “no scammers,” so it’s more important to present yourself in a friendly and professional manner. Give the details of the product, give the details of pick-up, and give your number. You follow the tips on this list and you’ll be well on your way to supplementing your paycheck with Craigslist deals. Some of us might even be able to make a living with this type of entrepreneurship. I would love to hear from you. Have you ever made money on Craigslist? If so, how did you do it?